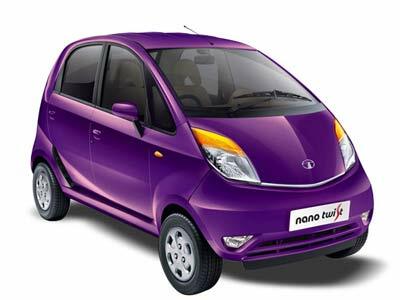 DHAKA: India's automobile giant Tata Motors has launched its low budget Nano car in Bangladesh, two years after it announced plans to capture the market in the neighbouring country. "We are confident that the combination of a perfect product with best-in-the-country service and parts back up will firmly establish the Nano's footprint in Bangladesh," chairman of Tata's sole distributor Tata Niloy Group, Matlub Ahmed, told the Nano's launching ceremony last night. But the four-seater 624 cc Tata Nano, known to be the world's cheapest cars, will cost Taka 800,000 (USD1 = Taka 80) in Bangladesh. Ahmed urged the government to withdraw the 45% supplementary duty on cars under 700 cc so that the Nanos could be affordable to low income people at much lesser price. Tata Motors introduced the 624 cc Nano as a low-cost car in India in 2008 to attract the middle-class people. The Nano was scheduled to be launched in Bangladesh three years ago but the pricing issue delayed it.